Anyone looking to get their driver’s licence in England, Scotland, or Wales will have to pass a more difficult test as of today, according to the Driver and Vehicle Standards Agency (DVSA). 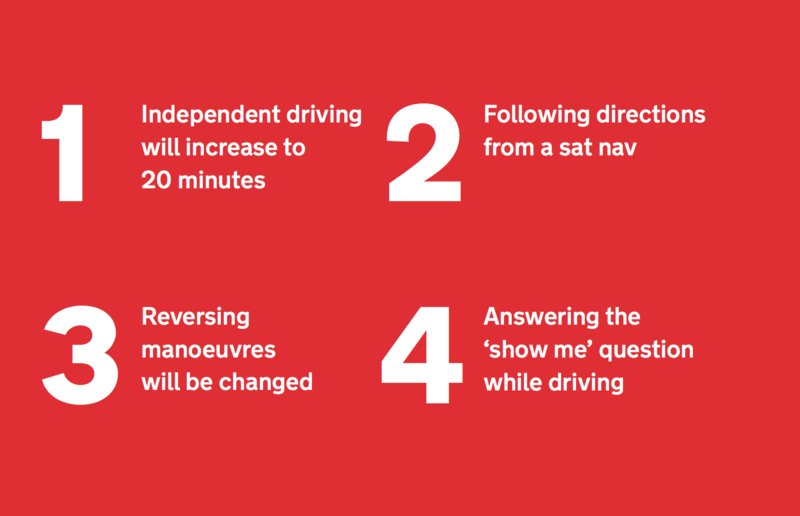 Test-takers will now face a longer period of independent driving, a section of satellite navigation, changes to reversing manoeuvres, and will be required to answer vehicle safety questions while driving. Northern Ireland has a different set of standards. The DVSA is facing criticism from some for the changes and have been accused of encouraging distracted driving. How ridiculous. Sat navs and phones should be banned – they cause horrible accidents and thoughtless driving. How is encouraging technology a step forwards? Examiners are also unhappy and have begun a two-day strike for reasons including what they call a “badly designed” new test. The changes will be in effect for anyone taking the car driving test from today, including retakes or postponements.